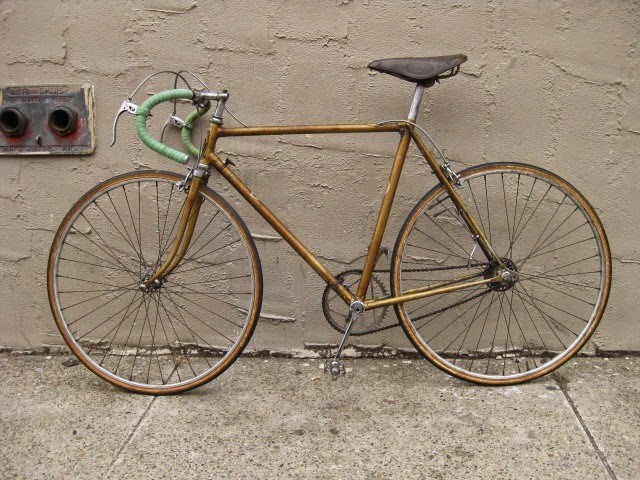 This bike has been mentioned in another blog posting here, but i figured it was time it got the full attention it deserves. 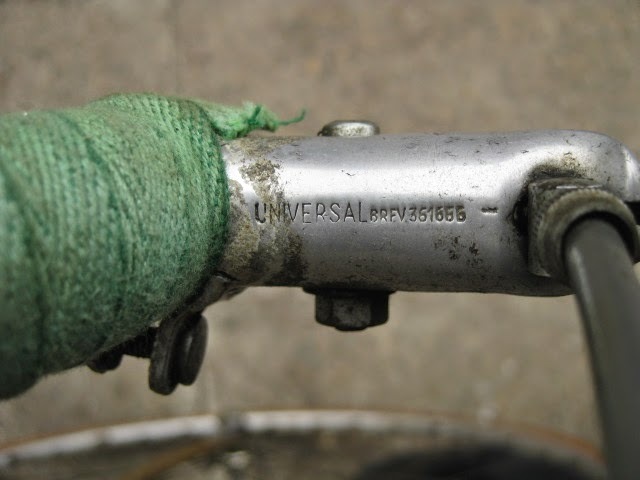 It is an early Legnano frame and fork, serial number B05289 which puts its production in the 1940’s according to the Classic Rendezvous registry. 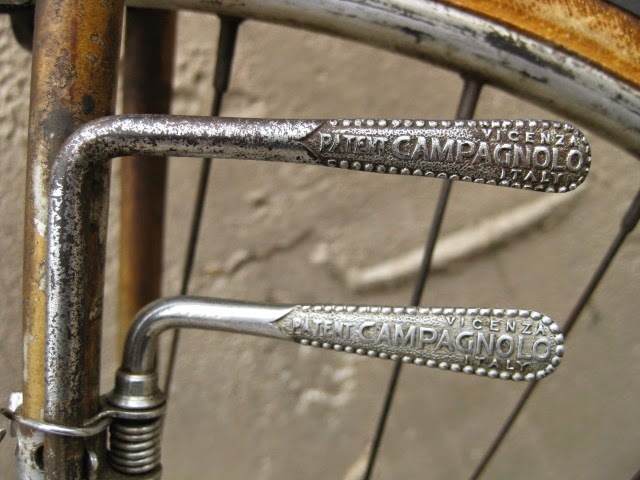 The bike is equipped with Campagnolo’s Cambio Corsa gear system, one of the earlier production gear systems. 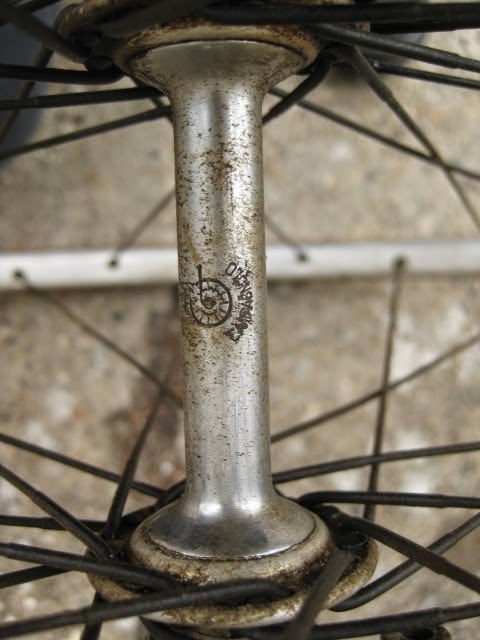 Here is a link with the history of it. 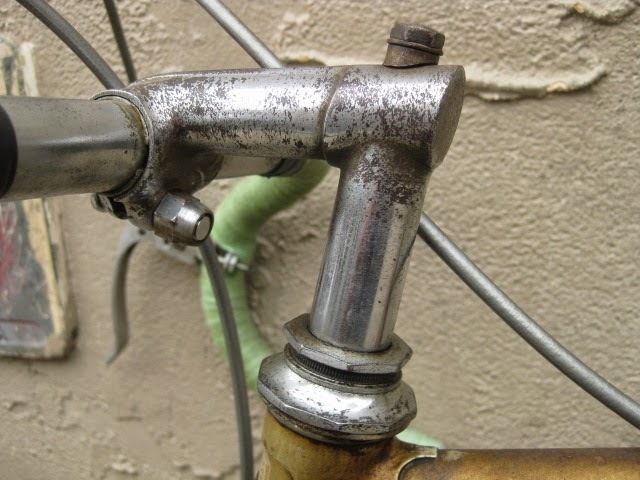 Here also is video demonstrating how to operate it. 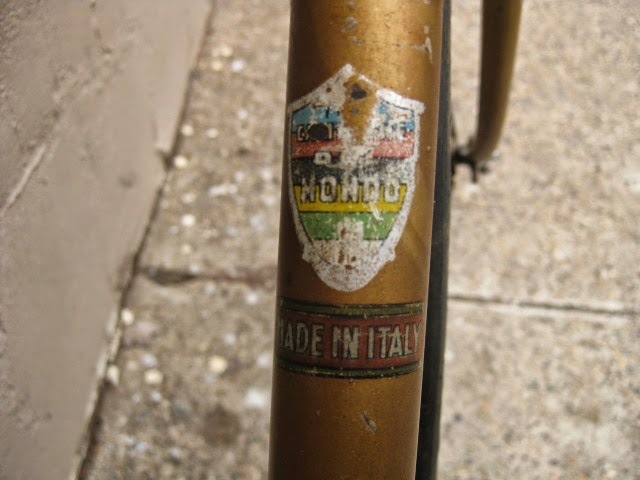 The shop got the bike several years ago in New Jersey of all places. 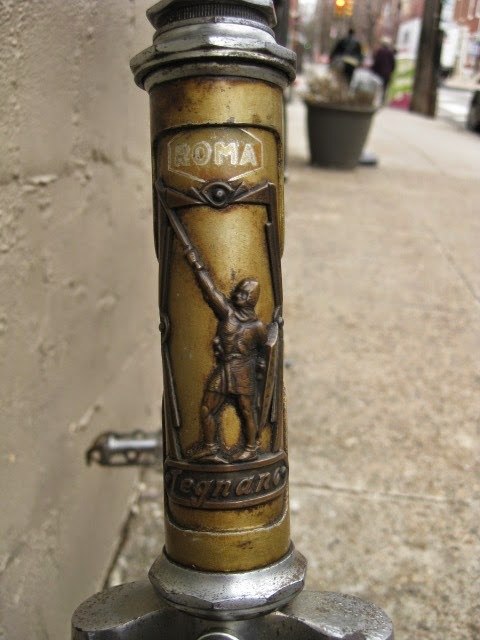 It has original paint and decals and many of the parts are stamped Legnano. 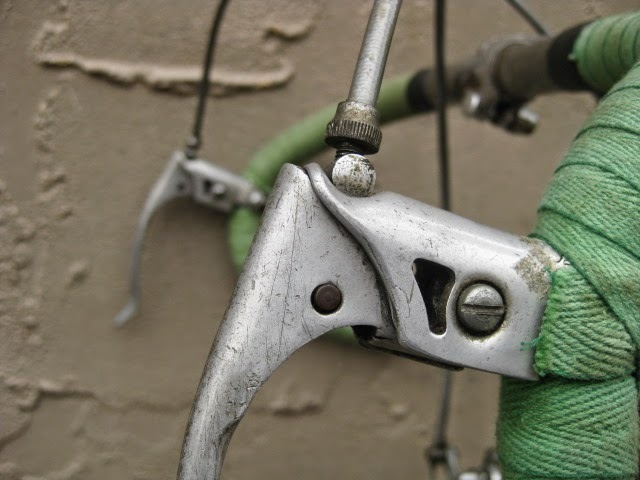 I am somewhat amazed that all the original parts have stayed with it all these years. 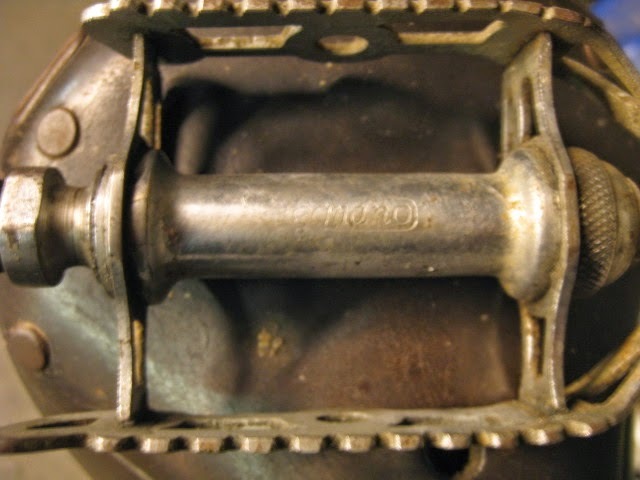 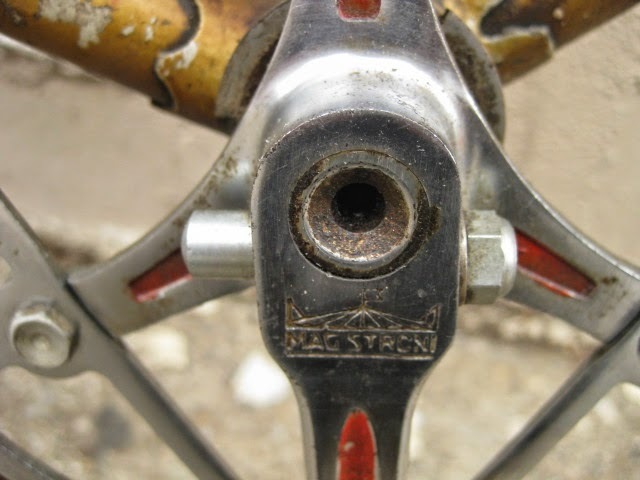 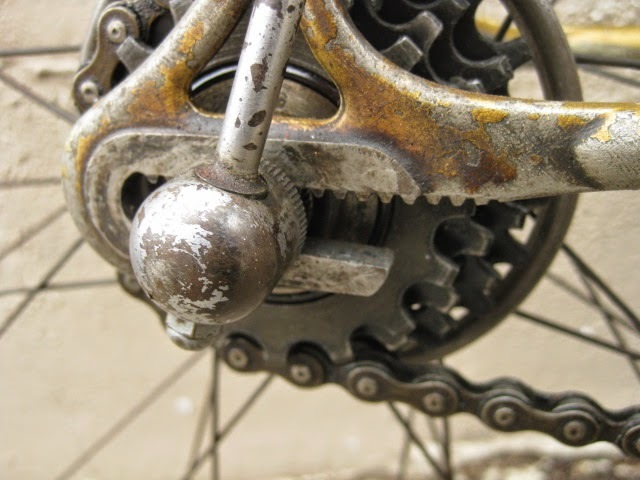 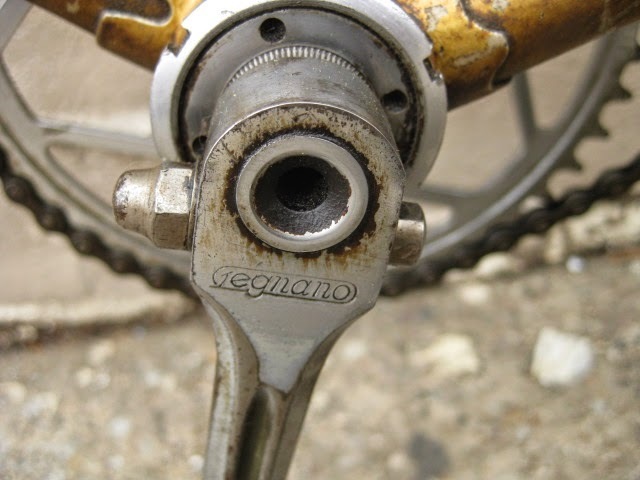 The drive side crank is stamped Magistroni so maybe that was switched out at some point, because the non drive arm does bear the Legnano stamp. 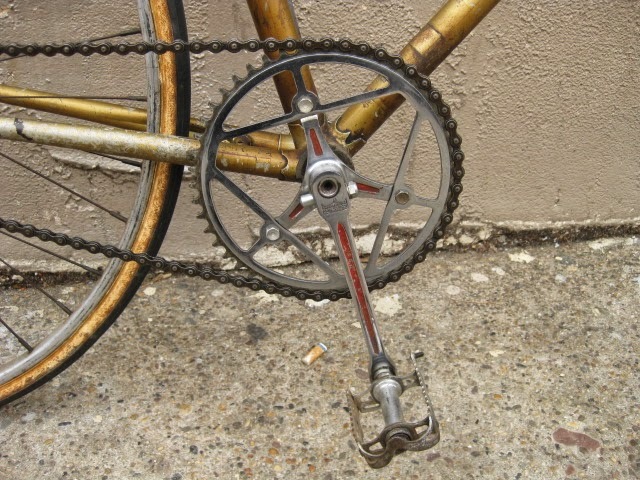 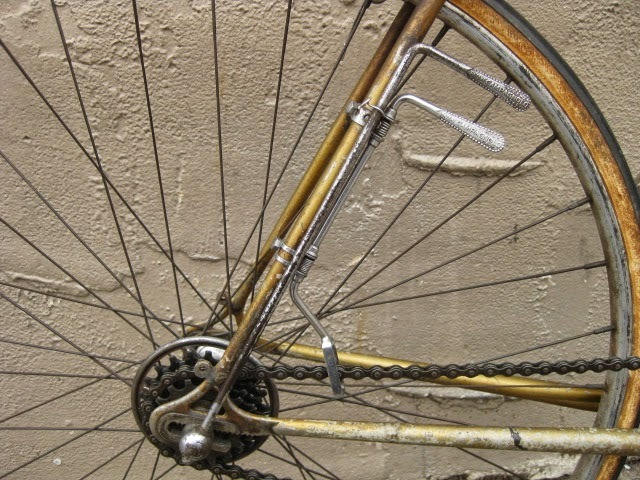 It is equipped with early Universal brakes and the unique corresponding levers with cool adjusters. 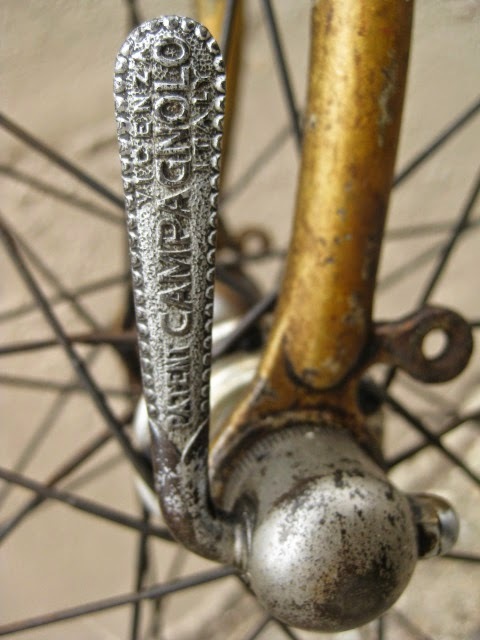 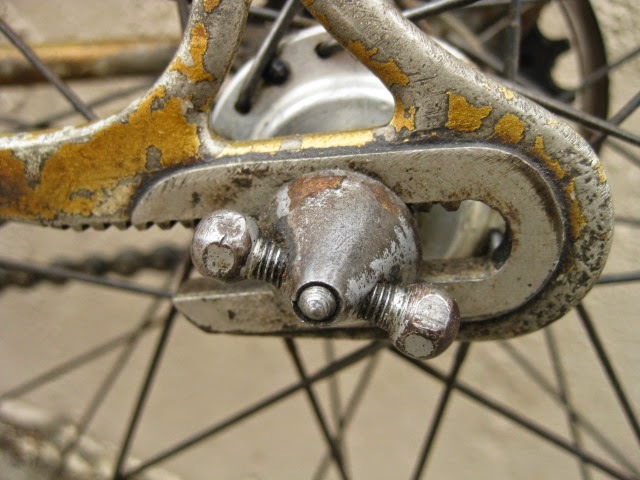 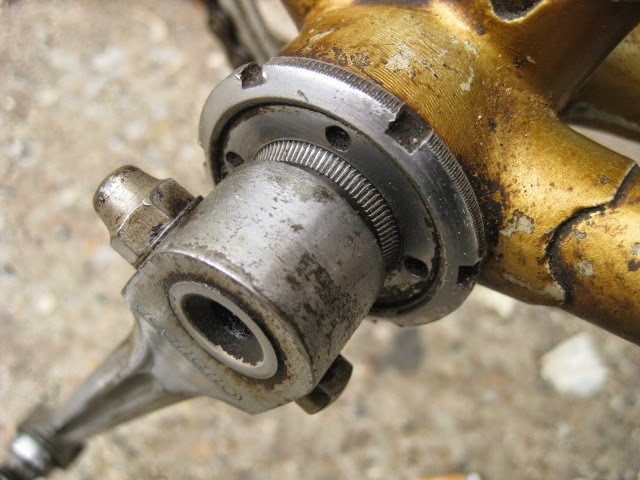 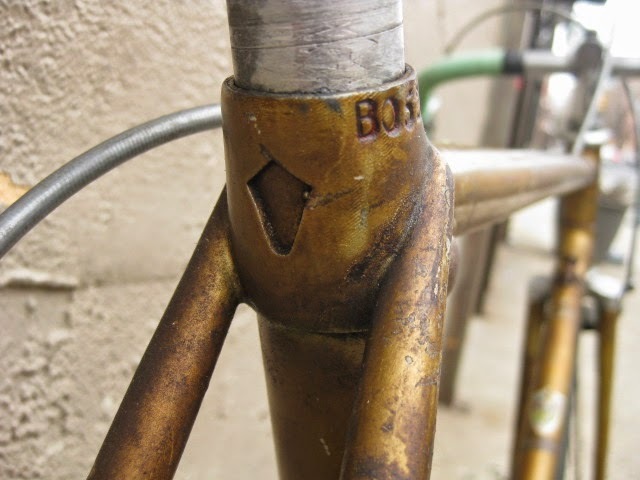 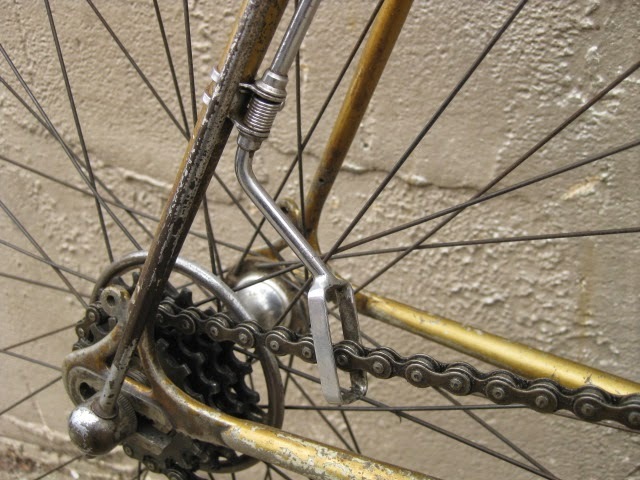 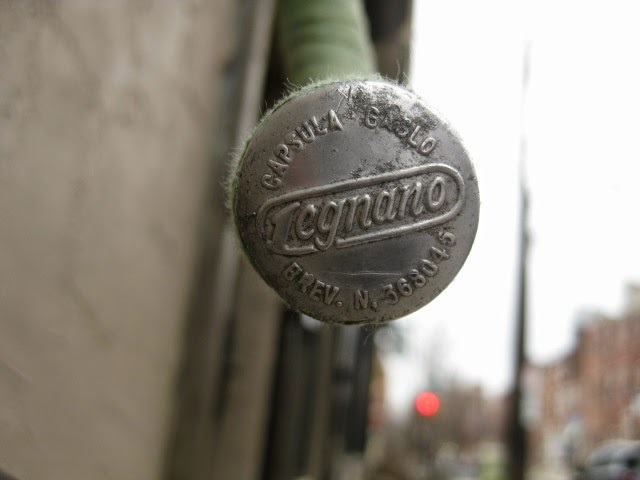 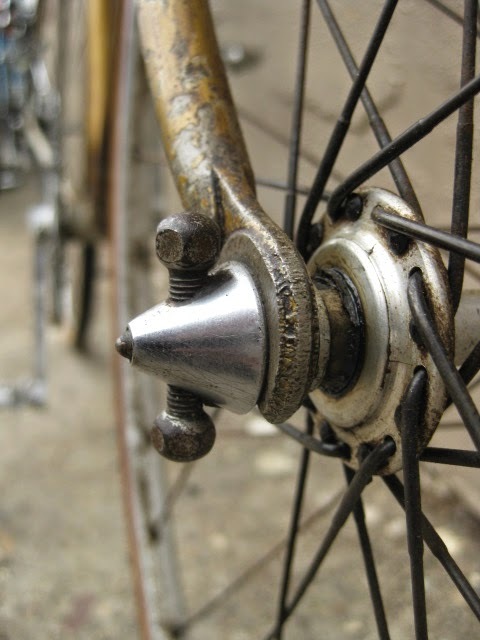 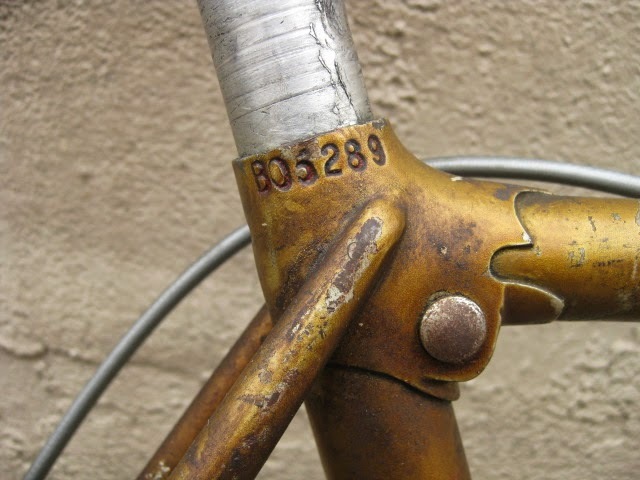 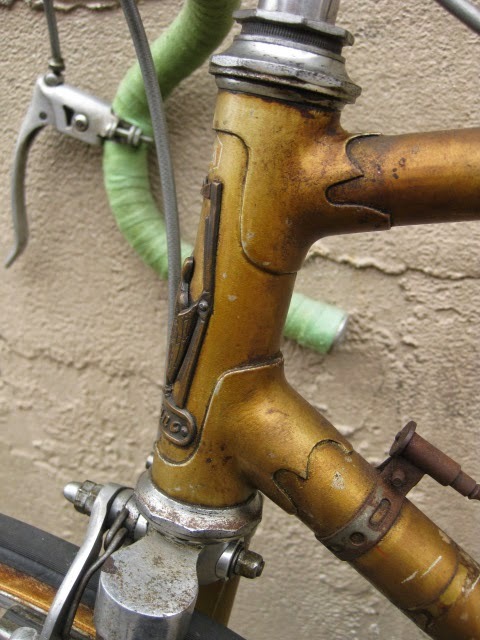 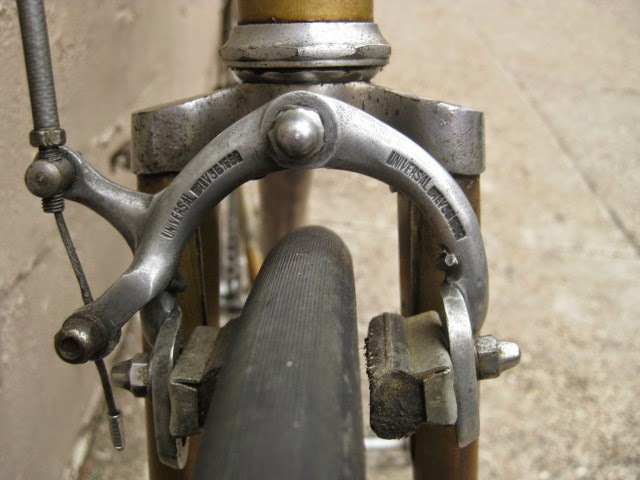 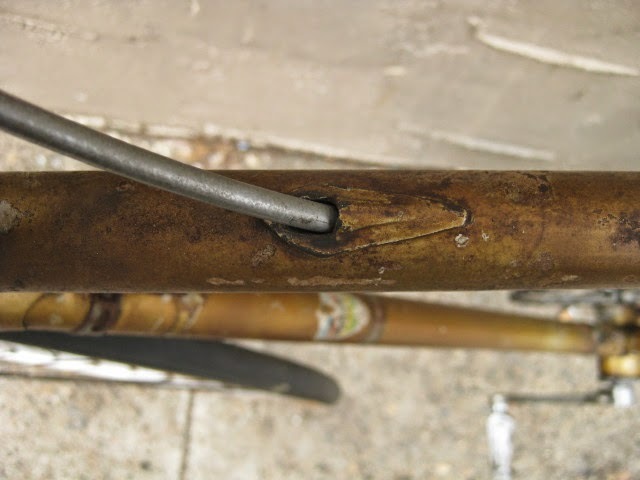 Unknown bar and stem combination, Legnano stamped alloy bar plugs made by Gaslo, early dog bone skewers with the open “C” levers, and early Campagnolo hubs. 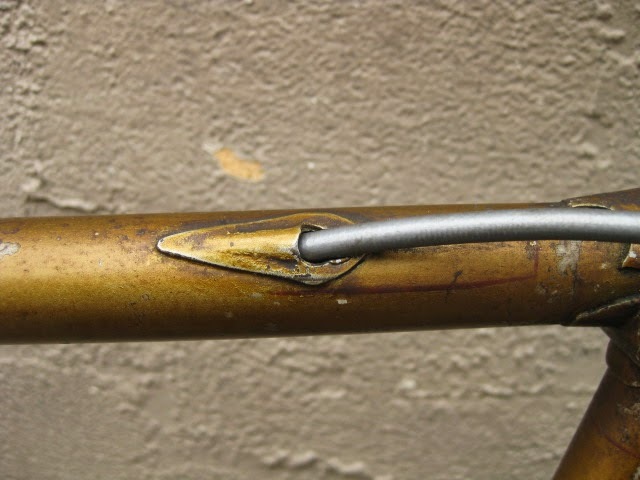 Nice internal routing for the rear brake cable and housing and overall nice frame construction. 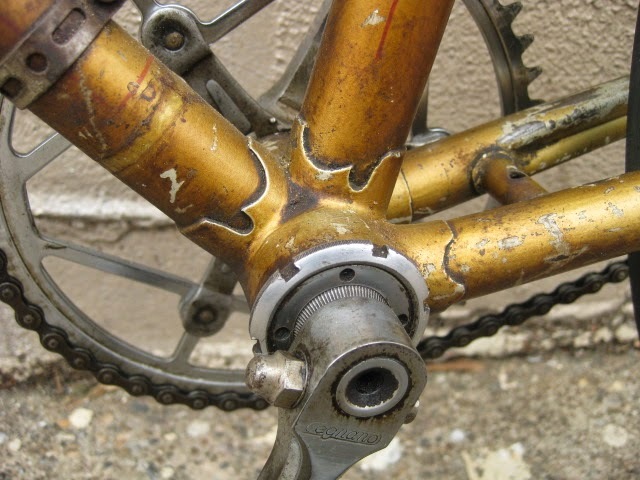 the lugs have quite a bit of “shoreline” for the time, another indication of the frames high caliber. 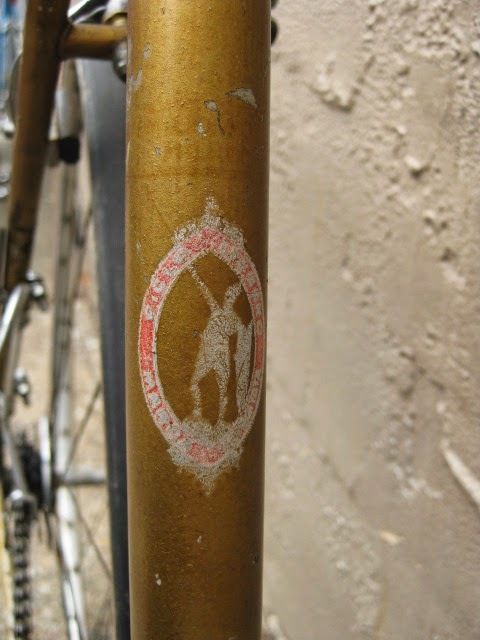 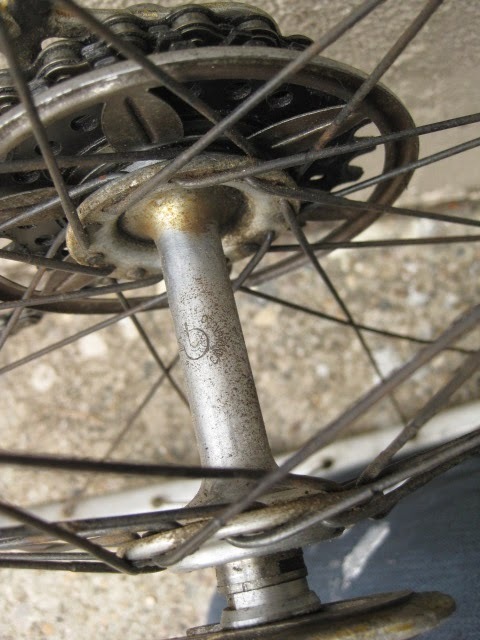 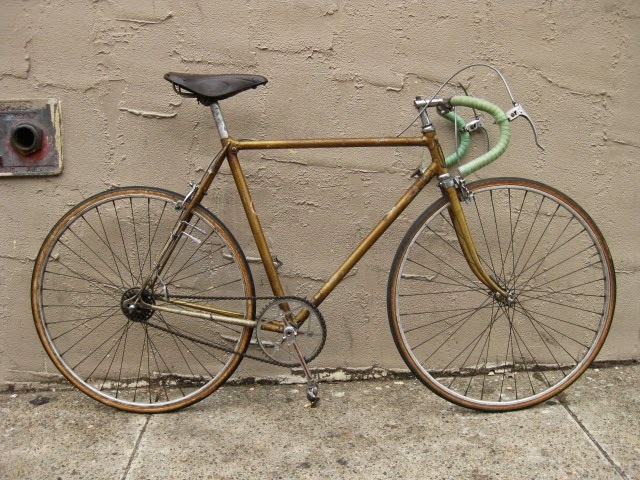 It is rare to find these bikes in such great original shape and we are happy to be its caretaker!